Every email you send adds to or detracts from your reputation. If your email is scattered, disorganized, incongruous, and filled with mistakes, the recipient will be inclined to think of you as a scattered, careless, and disorganized person. Hello cubicle communicators, open space senders, corner office autoresponders, home den deleters, and coffee shop bcc-ers. My name is Brock Armstrong, and I am… not the Workplace Hero. Although, at this rate, I am pretty sure we will all arrive at that title at the same time. Before we get started, a little housekeeping. 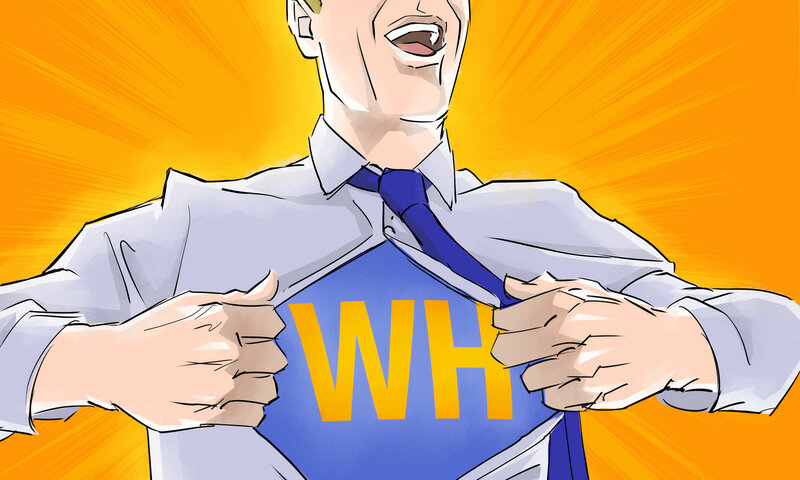 Did you know that there are near verbatim transcripts of all the podcasts over at www.workplacehero.me? It’s true. I know that the majority of you are listening to this podcast while you are on the bus, in your car, at the gym or otherwise not near a pen and paper – so to take the onus off of you having to try to remember the important points, I am making it easy. The only thing you need to remember from this episode is www.workplacehero.me/email. Slick eh? While you’re there you can also sign up for the newsletter, listen to past episodes and find links to some other fun stuff that I do like SkywalkerFitness.ca and the Get-Fit Guy podcast. Anyway, check it out because it’s pretty nice. Ok, on to our email. I am pretty sure that I got my first email address in 1996 and for you internet nerds out there, yes it was a CompuServe address (the next one was a powersurfr – how cool is that?) Anyway, back then I could really only send messages to my buddy Ken in Toronto but it was still pretty cool and exciting. But now, when I do my best not to get a new email address every time I start a new contract, I find yourself clicking “reply,” typing up a few words and hitting “send” without giving so much as a thought about what I’ve just written. I actually tend to answer the majority of my emails while I am having my first cup of coffee… so please excuse all the typos! Experts agree that your email behaviour has the potential to sabotage your reputation both personally and professionally. Inc.com wrote a story with some of the industry’s most seasoned email experts which had them weigh in on how to perfect your email etiquette. We’ll take a look at their suggestions in a minute but right now, I want to clear something up. I have two very different and distinct email personalities. Let’s call them Jean-Luc and Kirk. Jean-Luc uses full sentences, chooses his words carefully, always includes niceties and signs off with a signature that includes other ways to contact him. Kirk… well, let me put it this way: Kirk will put the entirety of the message in the subject line if it will fit. He also thinks “Boom!” is a perfectly reasonable response to a lengthy email and “Roger that” is all that is necessary to say to a client who just gave him an order. The reason I bring this up is that I believe there is a place for both of these email weirdos. I have clients like Jean-Luc who I know prefer me to address them by name, wish them “happy Monday” and love it when I ask about their plans for the weekend. Then I have clients who are like Kirk and also agree that “Boom!” is a perfectly acceptable response and regularly use the subject line as if it is a telegraph in an old timey railway station. What I am going to primarily dive into today is the Jean-Luc email archetype. Not because I think it he’s better or more correct but because the Kirks really don’t give a crap as long as they know you are on the job and that they are one step closer to Inbox Zero. 1. Only discuss public matters. Do not assume the person receiving your email knows who you are, or remembers meeting you. If you are uncertain whether the recipient recognizes your email address or name, include a simple reminder of who you are in relation to the person you are reaching out to; a formal and extensive biography of yourself is not necessary. Emailing with bad news, firing a client or vendor, expressing anger, reprimanding someone, disparaging other people in emails (particularly if you’re saying something less than kind about your boss) are all major no-nos. Because email can seem so informal, many people fall into this trap. Always remember that email correspondence lasts forever and lacks the nuance and emotion of a tête-à-tête. The maximum number of exclamation points in a business email? One. Otherwise, you risk looking childish and unprofessional. So I guess our email guy, Kirk would have to refrain from putting 5 exclamation points after his BOOM. 5. Be careful with confidential information. Refrain from discussing confidential information in emails such as someone’s salary, passwords or anything that would fall under a non-disclosure agreement. Should the email get into the wrong person’s hands, you could face serious – even legal – repercussions. 6. Respond in a timely fashion. Unless you work in some type of emergency capacity, it’s not necessary to be available the instant an email arrives. Depending on the nature of the email and the sender, responding within 24 to 48 hours is acceptable. I know some of you are likely shocked at that time frame but give it a try. In my experience pushing it beyond 48 hours triggers some alarms (usually that the email got lost in a spam box) but anything up to that point is totally acceptable. 7. Refrain from sending one-liners. “Thanks,” and “Oh, OK” do not advance the conversation in any way. Feel free to put “No Reply Necessary” at the top of the email when you don’t anticipate a response. At one of my last full-time positions, we used NNTR (no need to reply) at the end of our FYI emails. It was a nice way to give the reader permission to read and delete at their leisure. 8. Avoid using shortcuts to real words, emoticons, jargon, or slang. Words from grown, business people using shortcuts such as “4 u” (instead of “for you”), “Gr8” (for great) in business-related email is not acceptable. If you wouldn’t put a smiley face or emoticon on your business correspondence, you shouldn’t put it in an email message. Any of the above has the potential to make you look less than professional. 9. Keep it clean. And no I don’t mean what you think I mean! 10. Be clear in your subject line. With inboxes being clogged by hundreds of emails a day, it’s crucial that your subject line is meaningful, searchable and isn’t leftover from three email threads ago. It should be reasonably simple and descriptive of what you have written about. A good rule to live by is to expect that any email with a vague or obscure subject line will get trashed. Also, proof your subject line as carefully as you would proof the rest of the email. 11. Don’t get mistaken for Spam. Avoid subject lines that are in all caps, all lower case, and those that include URLs and exclamation points – which tend to look like Spam to the recipient. 12. Your subject line must match the message. 13. Provide a warning when sending large attachments. Ok… this one actually made me go back to the original post at Inc.com to see what year this was written and yeah, it was long enough ago that this may have been a real issue. But even though we barely blink at an attachment that is several megs on our desktop, some of us still have some pretty stingy data caps on our phones so perhaps this is still worth keeping in mind. 14. Give your attachment a logical name. We’ve all experienced it – the attached file that is named REV3-1v2FINAL.jpg I am sure that was meaningful to the designer who was creating the lovely logo but come on, when it is complete enough to be shared, give the file a logical name so the recipient knows at a glance what the hell it is once they have saved it to the desktop or documents folder. 15. Send or copy others only on a need to know basis. Before you put names on the Cc or Bcc lines, ask yourself if all the recipients need the information in your message. If they don’t, well don’t be that guy! Take time to send your messages to the right people and only the right people. Do not hit “reply all” unless every member on the email chain actually needs to know. I know it is easy to err on the side of “I am not really sure who needs to know this” but sometimes it is obvious. Do those people a favour and take them off the thread before they have to ask to be taken off. When a topic has lots of parameters that need to be explained or negotiated and will generate too many questions and confusion, don’t handle it via email. Also, email should not be used for last minute cancellations of meetings, lunches, interviews, and never ever for devastating news. I mean really? Who raised you? 18. Evaluate the importance of your email. Don’t overuse the high priority option. Actually, I am going to take it a step further and say don’t even USE the high priority option. If the subject matter of your email is so important that a descriptive subject line can’t handle it, pick up the damn phone! Those tiny exclamation points next to the new mail icon usually indicates to me that someone is having a bad day and is trying to take me down with them. And I will not play that game, sister. If you’re sending a message to a group of people and you need to protect the privacy of your list, you should always use “Bcc.” Before you blast them to your entire brunch chain, make sure that addresses you are willingly handing over are yours to share. 20. Keep it short and get to the point. Now, this is something the email guy Kirk can get on board with! The long email is a thing of the past. Write concisely, with lots of white space (or paragraph breaks), so as to not overwhelm the recipient. Make sure when you look at what you’re sending it doesn’t look like a bummer to read. The person reading your email should not have to dig through several paragraphs in order to figure out what you’re asking. Be clear, and be up front. Your email greeting and sign-off should be consistent with the level of respect and formality of the person you’re communicating with. Write for the person who will be reading it – if they tend to be very polite and formal, write in that language. This is where email guy Kirk may have to raise his game closer to the level of Jean-Luc if he doesn’t want to end up being blocked. 22. Always include a signature. You never want someone to have to look up how to get in touch with you another way. If you’re social media savvy, include your social media information in your signature as well. Your email signature is a great way to let people know more about you, especially when your email address does not include your full name or company. And no, you don’t need to put your email address in your signature or that crap about thinking about the environment before printing this email… I think we all over that by now, right? 23. Only use an autoresponder with purpose. An automatic response that says, “Thank you for your email message. I will respond to you as soon as I can” is useless. If you are unlikely (or unable) to stick to that 24-48 rule, then you may want to put that in an auto response. Otherwise, save it for your vacation! Business owners should make sure their staff is trained in email communications – don’t assume they know what they’re doing, and what is considered acceptable in your industry. Set up email standards that everyone at the company should abide by. And each time you send an email this week before you hit send make sure the subject line is useful, meaningful and searchable. Check the CC field for anyone who does not need to be there. And finally, eliminate extraneous parts of the email that has the potential to obscure the message or cause the recipient to miss the request, information or general point of the email. Once this becomes a habit, you can take down the sticky note but until then, leave it there so you become the email ninja that I know you can be. Every email you send adds to or detracts from your reputation. If your email is scattered, disorganized, incongruous, and filled with mistakes, the recipient will be inclined to think of you as a scattered, careless, and disorganized person. And in this workplace world, other people’s opinions matter and their perception of you can be critical to your success. But at the same time, as I started out this podcast by saying, there is nothing wrong with being a little schizophrenic with your email personalities, as long as you remember who is the Jean-Luc and who is the Kirk in this electronic mail wonderland. Workplace Hero is researched, written, narrated and recorded by me, Brock Armstrong. Podcast logo by Ken Cunningham and music by my old band, The Irregular Heartbeats.